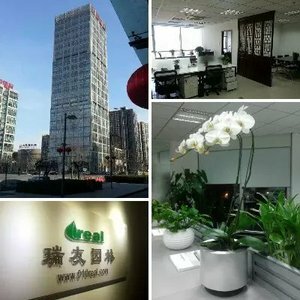 Welcom to Beijing REAL Landescape Architecture Co., Ltd.
Beijing REAL Landescape Architecture Co., Ltd. is a full service interior landscaping company. Our professional horticulturists enable an interior environment to come alive through the careful selection of plant materials witn regard to lighting, temperatuire, and humidity. We create professional office enveronments using living plants. Our clients look to us help them determine their interior landescape objectives and then to provide them with solutions. Our "concept-through-maintenance" services are fully guaranteed to meet each client's personal and professional satisfaction, and we pledge to all our clients to add life, beauty and harmony to their business environment.